Hollyhock Quilts: A Charming Quilt Story! Good Morning! I would love to have the pattern you are offering for the table runner. Please, allow me to tell you how I came to visit your websight: My 75 year old Aunt Jeannie lives in northern Indiana. I live in Tennessee. 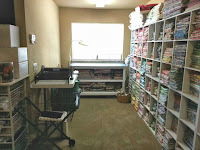 I began quilting about 7 or 8 years ago after having been involved in sewing, cross stitching, and crochet since I was ten. I will be entering my 6th decade of life this fall an am a two year breast cancer survivor. 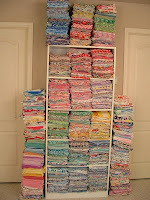 Aunt Jeannie bought a box of pieced quilt squares for $1 at an estate sale. She brought them to me and asked if I could use them to make her a quilt. These squares had been hand pieced and hand sewed to a piece of fabric in a crazy quilt pattern. Upon further examination, I realized the backing for these pieces was not muslin, as I had first thought, but stamped sugar sacks from a South Bend Indiana company. I suggested to Aunt Jeannie that we even up the size of the squares and sash and border them but not make it into a quilt because then it would hide the sugar sacks. She agreed and the project turned out beautifully. She then asked if she could pay me to make her a Sunbonnet Sue quilt. I agreed again. And using only fabric from my stash to make the dolls and squares, I completed her quilt top this past week and presented it to her. Several of the bonnets and dresses in this quilt were made from vintage feed sack cloth I had ordered from Ebay. They made the “Sues” almost glow with vintage quality. She requested I do the quilting so I will begin quilting them in a week or sew, I mean so. When I met with Aunt Jeannie to show her the top, she had me a gift. 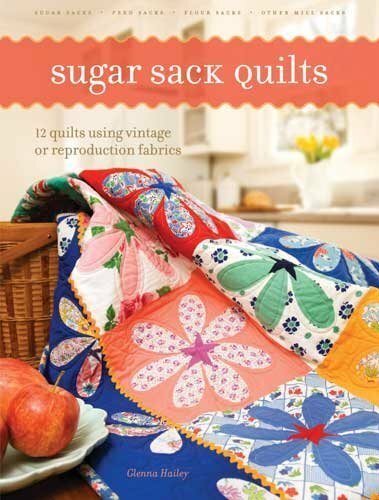 It was your book Sugar Sack Quilts! I was as pleased with the book as she was the quilt top! The book sits by my chair and I pick it up and look through it several times a day. That was a long story just to request the table runner pattern, wasn’t it? Anyway, I look forward to receiving it and will begin making one very soon, as I have a good friend whose son got married last month. I think it would make a very nice wedding present. 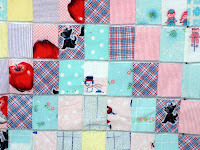 Rhonda is a terrific writer who also shares her thoughts on her blog http://www.quiltingchemoandquiettimes.blogspot.com/. She says she needs to update it, but can't seem to stop quilting long enough to do it! Sound familiar? It reminds me that there are so many wonderful women (and men) who take the time to let us into their lives once in a while and share part of themselves with us. It also reminds me that even though we may read them, the writer doesn't know unless we leave a comment to thank them for taking the time to share. Thanks to all of you who do just that!